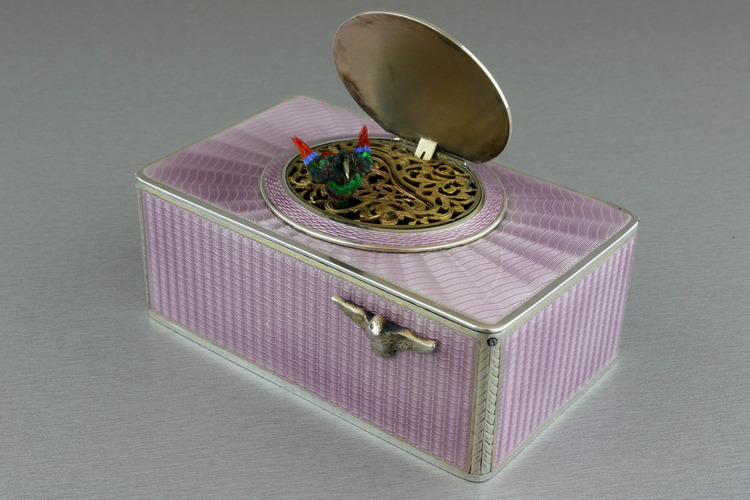 When wound and the spread-winged, bird-form, start/stop button is slid to the right, the bird lid opens and bird suddenly appears, moving his polished metal beak, bobbing his tailfeather, flapping his wings and turning his body from side to side, perfectly synchronised to the continuous birdsong, coming to an end when the bird disappears as the bird lid closes sharply. The bird has dark plum, clipper blue and red banded feathered plumage, enhanced by the superb speckled electric green iridescence. 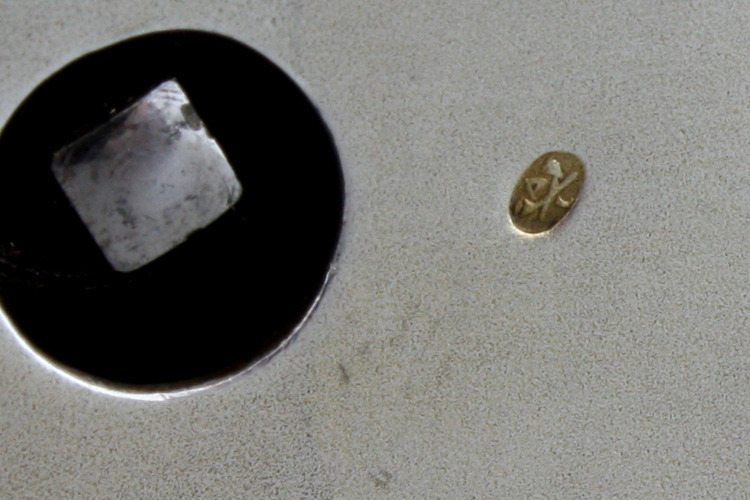 He rises through the swept, tooled and pierced gilt grille, with bird-form centrum. 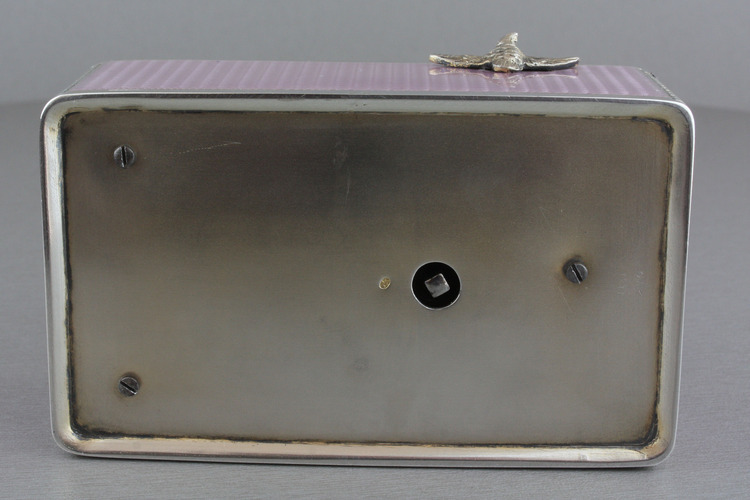 The lid interior has a delicate matt finish. 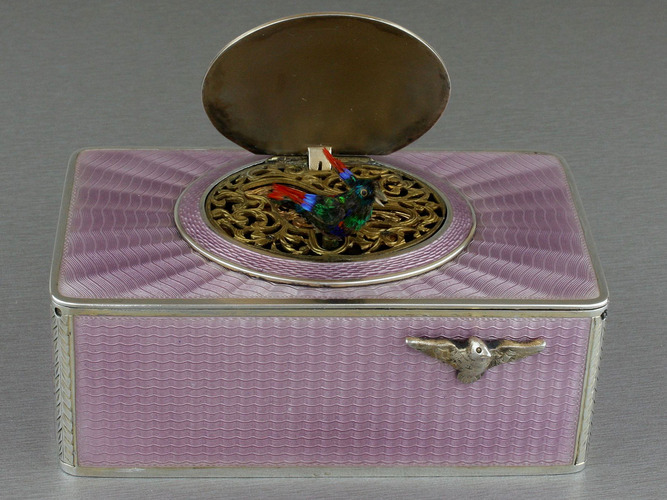 In spectacular silver and full guilloche enamel case in the gentle hue of lilac. 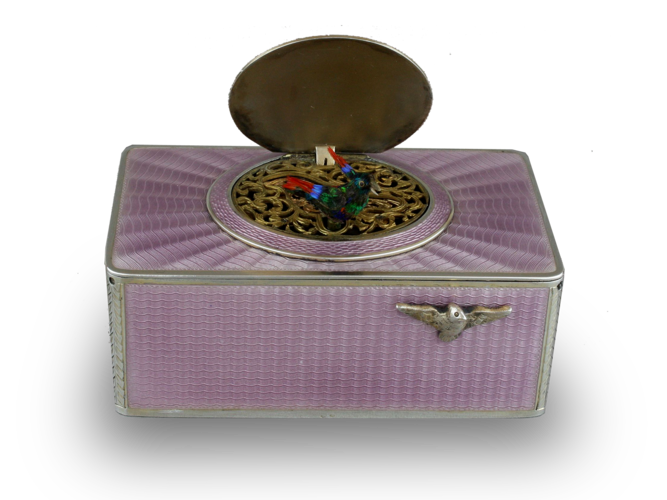 The oval bird lid with sublime radial fan-wave engine turning in magnificent lilac guilloche enamel with a central circular boss, the bird lid border ( or bezel) also and most unusually fully enamelled with a tooled trail throughout, before covering the entire case. 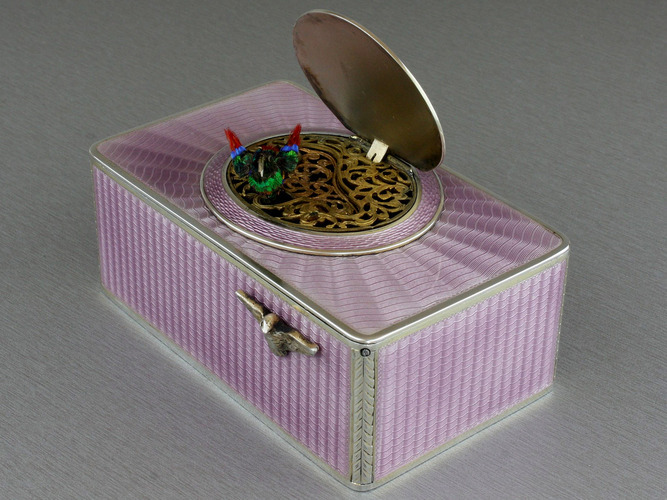 The main lid with the radial fan-wave engine turning with solid ribbon wave form straightening as it heads towards the outer edge. 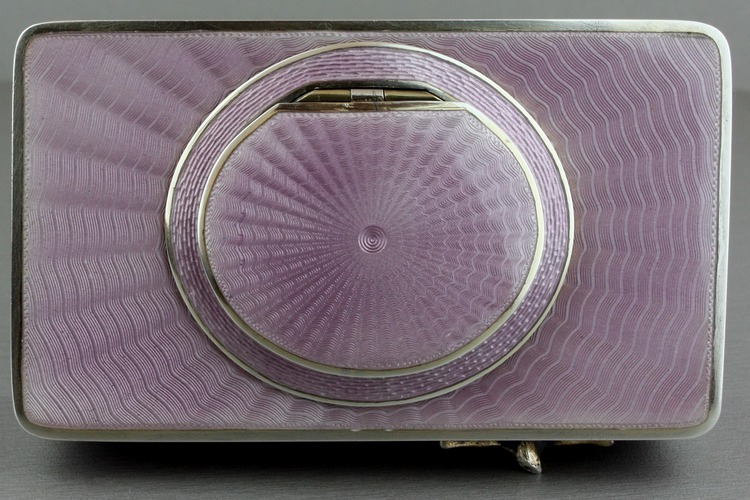 The front, sides and back with repeating vertical wave-line turning, balanced by the miniature horizontal lines for the tonal shading when the box is turned into the light. 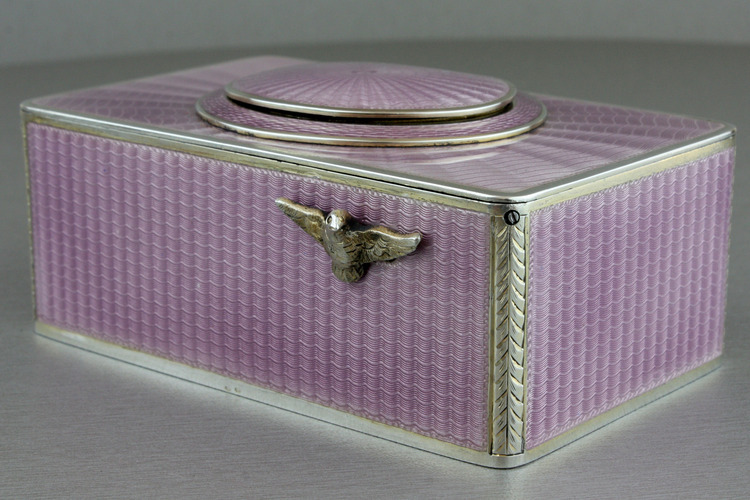 The silver highly polished to all edges, the corners with rounded corners and each one with refined acanthus leaf frieze from top to bottom. 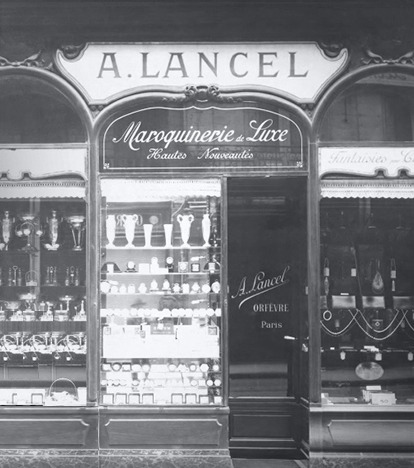 Comple with the original retailer's travelling case bearing the boutique title in gold script to the silk lid interior, A. Lancel of Paris and finished on the outside in dark blue leather. 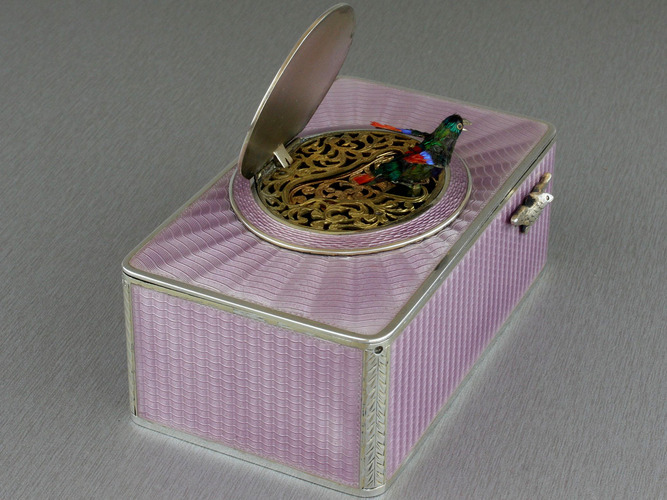 This is one of the finest and most impressive full-enamelled singing bird boxes yet offered to the international market by Douglas Fisher of London. 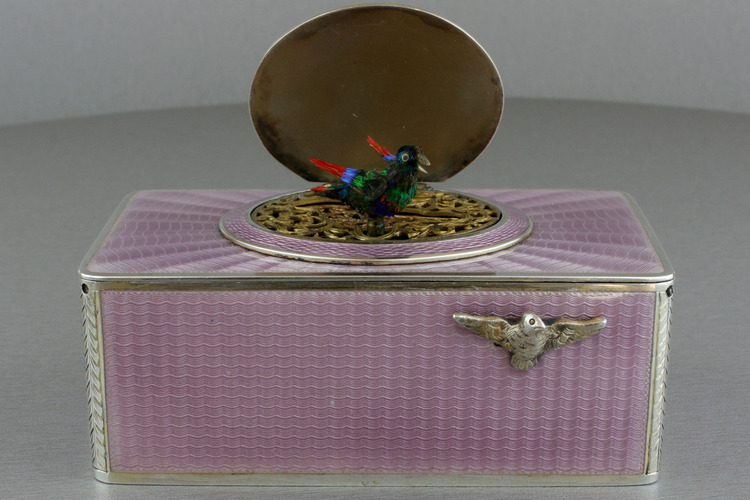 The ribbon wave line seen to the very centre of the bird lid is tight in its undulating peaks, slowly but surely decreasing as the lines radiate outwards, so that when the eye reaches the extreme outer edge of the main lid, this line is almost straight. 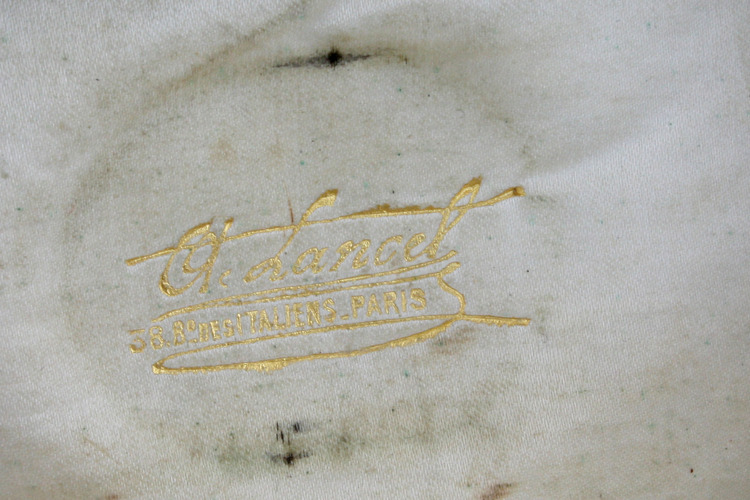 This tiny detail makes the ripple of the turning to the lid as a whole a much more complex affair. 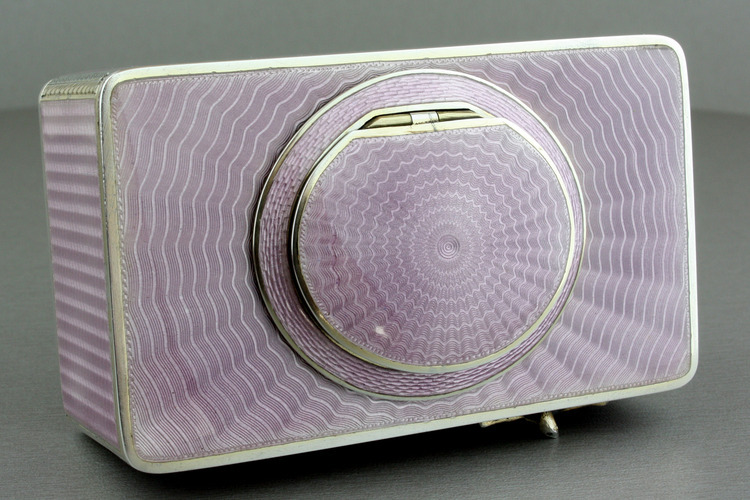 Superb craftsmanship went into the creation of this guilloche enamel. 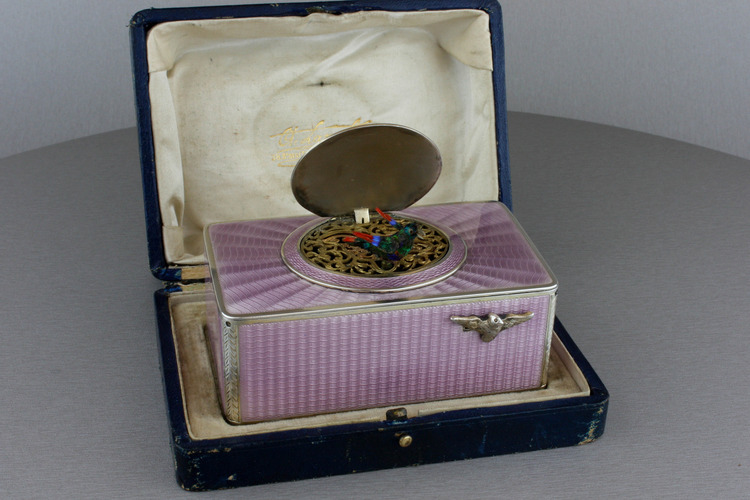 The bird song is strong and vibrant, the movements full and complete. 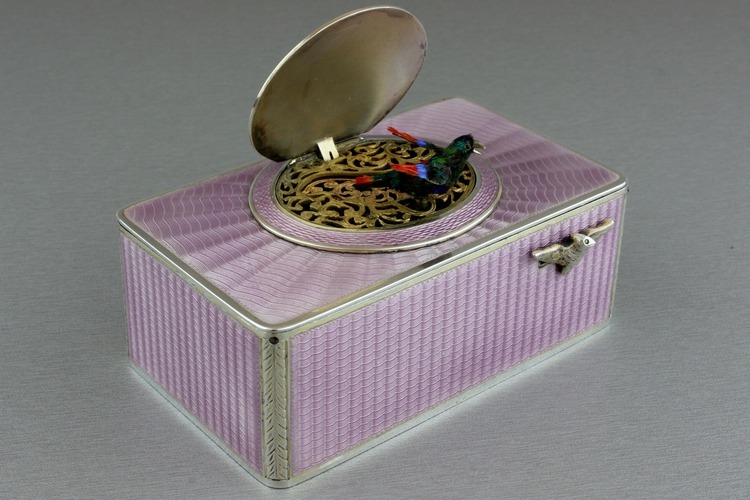 We hope you fall in love with this exceptionally fine a chic singing bird box, sold first by A. Lancel of Paris, who have offered luxury goods since the 1870s.